Company car: petrol, diesel, alternative | What Car? For company car users, choosing between a petrol, diesel, hybrid or electric car comes down to more than just your fuel bill. The UK's CO2 emissions-based taxation system means your choice will also have a bearing on the company car tax and fuel benefit tax you'll pay. Petrol technology has made giant leaps in the past few years, particularly in small engines. Turbocharging, direct fuel injection and computer advances have made them more effective and efficient than ever. Take the Ford Focus Ecoboost. The 1.0-litre, three-cylinder 123bhp Focus not only produces the power of a 1.6 engine, but returns an average of 56.5mpg and emits just 114g/km of CO2. For a 20% taxpayer, that means 465 company car tax or 38pcm, rivalling many small diesel cars. On paper, hybrids look like a great choice for company car users, with impressive fuel returns and super-low emissions. Choose a model with a low list price and youll get a very competitive company car tax bill. Take the cheapest Toyota Prius. With a P11D value of 21,505 and just 89g/km of CO2 (10% tax rate), it gives a 20% taxpayer an annual company car tax bill of just 430 per year, or 35 per month. However, you may find that company car tax on a modern small diesel is only slightly more. Theres another issue with hybrids. Their low CO2 figure simply gets punched into a calculator to work out your company car tax, but theyre less likely to attain their impressive official economy figures than petrols or diesels which means youll be spending your tax savings at the pumps. Check out the What Car? True MPG section for real-world economy figures. Even some of the new diesel hybrids such as the Peugeot 3008 Hybrid4 suffer this problem, along with fairly high prices. When you combine these issues with the 3% company car tax surcharge levied on diesels, hybrid bills arent quite as attractive as the headline figures might suggest. Whatever the future holds, electric vehicles are not the answer for everyone right now. Even though theyve been exempted from company car tax to encourage company car drivers to take the plunge, many employers dont offer EVs because the leasing companies are charging too much for them. Electric cars are certainly unusual to drive. They offer maximum torque right from start-up, and the power delivery is seamless, but once you reach around 50-60mph, the torque peters out. 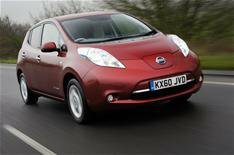 The best purely electric car is the Nissan Leaf. Its hatchback body style makes it user friendly, and its pretty swift at lower speeds, but youll want to bear in mind that it takes about eight hours to fully recharge, and even then its maximum range is only about 80 miles. This limited range and the shortage of recharging locations make EVs an impractical choice for most. Whats more, itll be game over for the company car tax exemption in 2015, when even zero-emission cars like full EVs will be taxed at a 13% rate. For most company car drivers, the main choice remains between petrol or diesel. As with petrol engines, there are now many smaller diesels producing low CO2 but still developing plenty of power. Like petrol cars, diesels have also benefited from advances in both hardware and software. The result is that diesels are now in the lead when it comes to efficiency, low CO2 output and by extension) company car tax, despite being penalised by a 3% tax surcharge for their greater pollutants. Its only when diesel and petrol rivals come close on both price and emissions that diesels reign becomes challenged, thanks to the 3% surcharge on all diesels that puts them at a disadvantage to equivalent petrol cars. However, their good economy means they are still more efficient to run, and the fuel savings youll enjoy can more than make up for the higher taxation. Ultimately, once your choice boils down to your finances, you need to compare the company car tax and fuel costs of cars on your shortlist or, if youre getting your fuel paid for, the cost of fuel benefit tax. These figures will tell you if a cars fuel economy will make up for its higher company car tax, and if its cheaper to have your fuel paid for or pick up your own bills. To calculate your fuel cost, you first need to know how much it costs to travel one mile. Start with current fuel prices. From the AA website, get the latest petrol and diesel costs in pence-per-litre (ppl). Turn this figure into pence-per-gallon (ppg) by multiplying it by 4.546 (the number of litres in a gallon). Now find the cost of one mile in your car by dividing that ppg figure by your cars mpg. For example, 632p divided by 55mpg gives 11.5p per mile. Multiply this by your annual mileage and then divide the result by 100 to find your annual fuel cost in pounds. If you receive car fuel benefit, youll need to work out the annual cost of this: 20,000 multiplied by your cars company car tax rate, multiplied by your personal tax rate.